These flowers look just picked from a Wild Daisy Field! Bright Coral, Yellow, and White Daisies adorn this Fabulous Crown! Dress up for that BIRTHDAY PARTY!! The Renaissance Faire is coming, too! 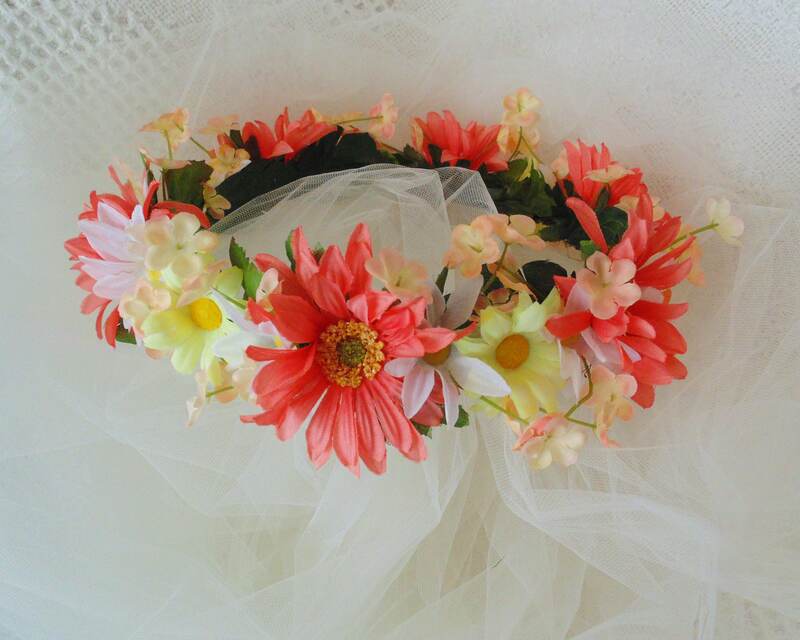 Maybe the Bride or Bridesmaid needs a beautiful crown! Silk flowers and leaves hand attached to twisted grapevine (BENDABLE FOR ADJUSTMENTS) 22-24 INCHES HEAD SIZE. **Not recommended for babies and toddlers or small grade school age... due to small parts and SIZE.